A Florida man who said he fell into his car's trunk and got locked in after a walk on the beach was rescued on Wednesday by a Monroe County Sheriff's deputy who heard him knocking for help. The incident began at about 9:30pm when Monroe County Sheriff's Deputy Seth Hopp answered a call about a report of a suspicious vehicle parked near Sombrereo Beach. 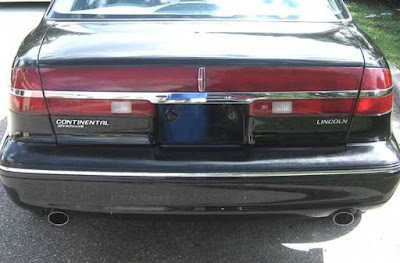 There, Hopp said he found a 1997 Lincoln Continental with all four doors open but no one in sight. Drawing closer, Hopp said, "I then began to hear a knocking coming from the closed trunk." "Come out", Hopp ordered after announcing himself as "Sheriff's Office." "I can't", answered a voice that turned out to belong to be 32-year-old Rob Moore of Marathon. "I opened the trunk and a ... male emerged," said Hopp. And the male had an unusual explanation for his predicament. After going for a walk on the beach, Moore told the deputy, "he was looking for the keys to the vehicle and had accidentally fallen in the trunk while searching for the keys. The trunk then closed on top of him." What happened to Moore's keys remains unknown. The deputy may have opened the trunk using an in-car release, said Monroe County Sheriff's spokeswoman Becky Herrin. During his interview with Hopp, Moore told the deputy he had in the car a pill bottle containing marijuana. Moore was charged marijuana possession, a first degree misdemeanor. Moore's mother arrived and drove him home in the Lincoln, Hopp said. "Certainly these are unusual circumstances," said Herrin. "But we have no reason to believe it happened in any way other than what he described."